There is no faster way to get my attention than to claim that the world’s supply of chocolate is dwindling. It is God’s way of showing us that he loves us and it never fails to elevate my mood. It is the perfect food and I will not be told that it is going to cease to exist. Absolutely not. So when I heard that something was threatening our cacao trees, I was the first in line to do whatever it took to eradicate that threat. Until I found out what is supposedly going to ruin our chocolate supply. Given that just about every “climate change” prediction up to this point has failed to deliver, I’m under the impression that our chocolate stash is going to be just fine. In fact, I would put money on it and I’m as broke as they get. That is how unreliable climate change predictions have been in the past. According to “experts,” we will run out of chocolate in the next 40 years because cacao plants simply can’t survive in warmer climates. They suspect that a 2.1°C over the next 30 years will “wreak havoc” on the plant and make it impossible for them to grow the delicious little nibs that supply us with all kinds of deliciousness. “Unlike other tree crops that have benefited from the development of modern, high yielding cultivars and crop management techniques to realise their genetic potential, more than 90 per cent of the global cocoa crop is produced by smallholders on subsistence farms with unimproved planting material,” said Doug Hawkins, from Hardman Agribusiness. 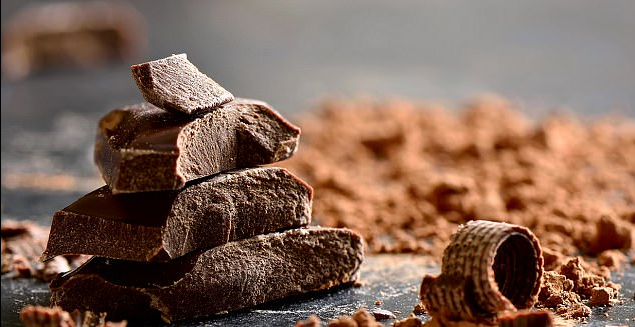 “All the indicators are that we could be looking at a chocolate deficit of 100,000 tons a year in the next few years,” he concluded. It sounds to me like another attempt to scare people into doing something about “climate change” because they’re afraid to lose their access to chocolate. “Rising tides due to melting ice caps” are going to only bother those on the coasts, so those in charge of the fearmongering had to come up with something that would actually affect everyone in the United States. It was because of this that they decided to go after one of the most popular items in America: Chocolate.